In the starting line-up, six Shakhtar players came onto the pitch of the Maksimir stadium: goalkeeper Andriy Pyatov, defenders Bohdan Butko, Olexandr Kucher and Ivan Ordets, midfielders Taras Stepanenko and Viktor Kovalenko. In the first half, the Croats were on the front foot and their performance looked more threatening. On the 15th minute, Mandžukić went one on one with Pyatov and hit the post, with Kalinic missing the target a little later after connecting with a cross from the flank. Ukraine national team responded with a clear-cut chance from Kravets as Subašić failed to get a hand to the ball after his run-out, however, the host team’s defender spotted for the keeper. The Checked did the needful before going into the break as, in the 38th minute, Kalinić finished a three step combo with a shot on the turn, with Modrić and Rakitić getting involved. The Ukrainians produced an active performance in the second half, with Butko and Matviienko providing regular attacking support on the wings. Konoplyanka had a good opportunity to level the score from the set piece only to see Subašić thwart the effort. The goalie was also there to deny Seleznov's header. In the dying minutes of the match, Pyatov was forced to make a save as Modrić fired a piledriver from the tight angle. The result is 1-0. 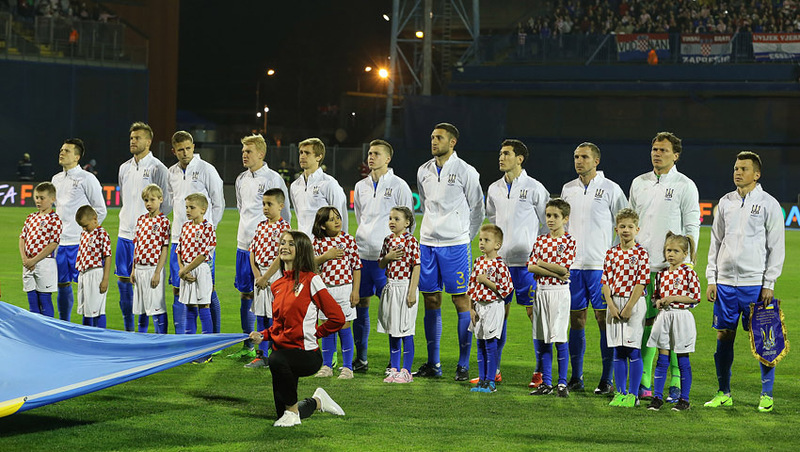 Croatia consolidated their leading position and remained the only team of Group I who suffered no losses. Ukraine national team rank third with 8 points under the belt. © FC Shakhtar Donetsk, 1998–2019. All right reserved.